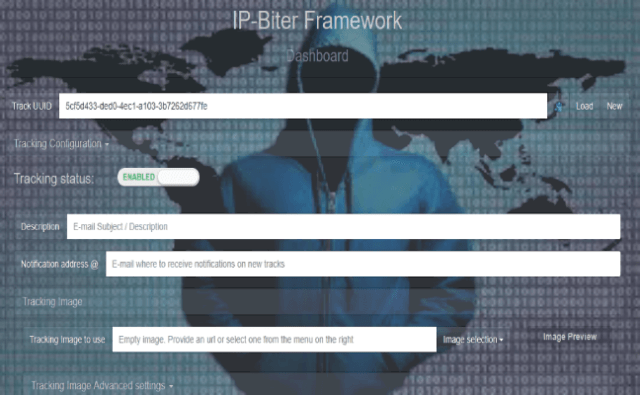 IP-Biter is an open source, easy to deploy, tracking framework that generate high configurable and unique tracking images and links to embed in e-mails, sites or chat systems and visualize, in an hacker-friendly dashboard, high detailed reports of the tracked users who visualize the image or open the links. It is possible to left the original image url empty. In this case an empty image will be used. It is possible to left the original link empty. In this case the link will generate a 404 page.